Sometimes, the RV parts that you need can seem almost impossible to find. 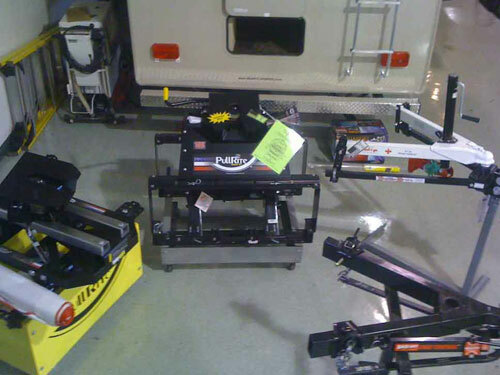 Fortunately, Modern Trailer Sales has one of the largest parts and accessory stores in the Midwest. We have parts for your Coachmen, Forest River, Heartland, Keystone RV and most new and used camper brands. If we do not have the part you are looking for in-store, we will help you locate it through our special orders for your convenience. Come in and talk with our expert parts and service specialists who are happy to answer all your questions. Visit Modern Trailer Sales to browse for the parts you need today! At Modern Trailer Sales, we understand that it can be a hassle to search various retailers only to discover that they do not have the part or accessory you need. Modern Trailer has put together a simple and easy-to-use parts catalog that you can access directly from the comfort of your home. This catalog is neatly organized containing everything from cleaning chemicals to advanced parts that can be difficult to find anywhere else. 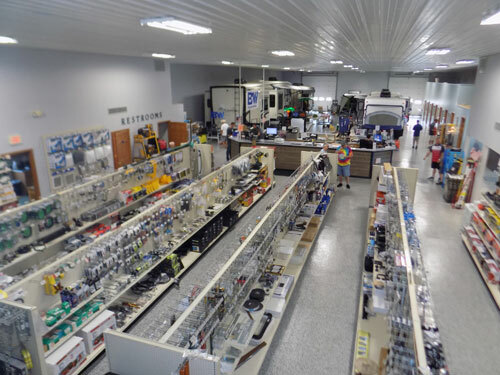 Plus at Modern Trailer Sales feel assured that you are working with experienced RV parts specialist, our parts department has over 30 years of experience in the business. 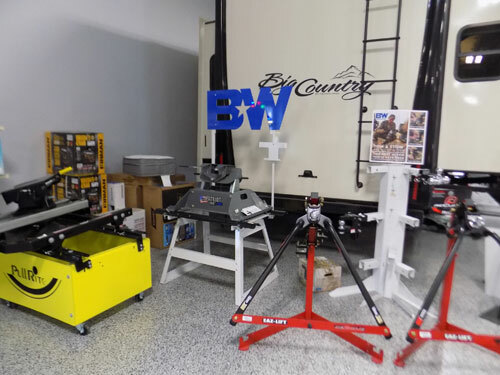 Our parts specialist have a strong understanding of the RV industry and are well educated in the products that they sell. We believe that you deserve the best quality of service. Browse our online parts catalog today to find what you have been looking for! Got a custom design in mind? When you want to customize your expandable trailer, fifth wheel, park trailer, toy hauler or travel trailer, we have the experience and know-how to make it happen. Modern Trailer Sales is committed to making sure you enjoy the best possible experience with your Coachmen, Forest River, Heartland and Keystone RV. Give us a call or stop by and let us help you plan out the perfect customization tailored to your individual style! Please feel free to call the parts department or email us. 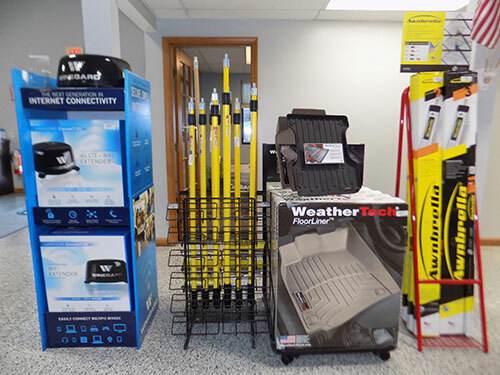 Our dealership is located in Anderson, IN, between Muncie and Indianapolis, Indiana.